Another two successful clinics took place in November 2016. The first clinic in the small town of La Cienega, where 74 sterilization surgeries were preformed in one day. The second clinic in the town of Cuatunalco 124 sterilization surgeries were done in 1.5 days. Grand total 198!!! The Snipsister Team was so impressed by the town’s enthusiastic involvement! I am so grateful for the help received; from the children who carried in equipment & supplies for pre-clinic set up, to the hardworking men & women of La Cienega & Cuatunalco who helped clean up the Municipal Building in each town and who set up the shade tarps. My fabulous pre & post clinic set up & tear down team: Larry, Bryn, Gary, Nancy, Maria & Viktor, Lilianna, Fidelina, Mario, Chico. While I always have enjoyed working with Poly, Antonio & Leslie, the Pets 4 Life Vet Team from Puerto Vallarta, I felt I needed to find another exceptional team that was within closer proximity to Huatulco. In an effort to be as frugal as possible, without compromising the safety of the pets that are entrusted into our care, and the quality of each surgery, I tried a team from Oaxaca City that came highly recommended. I was nervous, but this change was not to be feared! 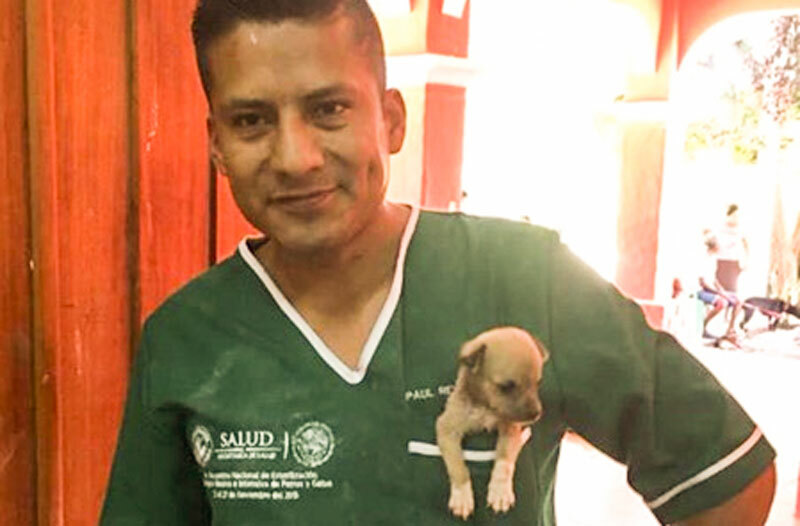 Being able to find a team that is geographically closer, with the same incredible competency as Pets 4 Life, has freed up more funding to put towards additional clinics-rather than those funds going to airfares to/from Puerto Vallarta. I am incredibly grateful to Paul & Ulises the vets from Oaxaca City, along with my fantastic group of volunteers: Sheila Tomlinson, Nancy Norris, Jane Carstairs, Sonia Maldonado, Fran McLaren, Bryn Wendelborg, Gary Campbell, Shelley McCaffery, Trish Loeb, Joanne MacDonald and Chyanne Forester. My gratitude and appreciation goes out to Jesus Flores, who was instrumental in initiating communication with the mayors of each town, spreading the word about the clinic and taking time on his days off to bag over 200- 1kg bags of dog food. And a very special thank you to the exceptional Tech Team: Tintin and Valentina from Terre Xtra based in Zipolite, who donate their time each year to my clinics, but who also host their own clinics throughout the year in Zipolite, they help 1000’s upon 1000’s of dogs. Amazing wonderful people, all of you! Success! Best Clinic to date. So pleased with the local involvement and support. Thank you to the Town of El Coyul! Mayor Ramon & his fabulous Wife, Professor Luis Felipe and the amazing students of the El Coyul Agriculture School, who each day gave their energy time and enthusiasm for this project. Also my personal thanks goes out to Pablo Narvaez (from Barra la Cruz) who initiated communications between myself and the Mayor of El Coyul many months ago. It takes months and months to prepare for each clinic and I could not have done it without my good friend Pablo. We had Mexicans, we had Canadians, we had Americans and yes we even had a Scottish Lass volunteering. My heart is bursting with love for my volunteers. NONE of this is possible without you all. Our record breaking clinic! Held in the Town of La Crucecita. Over the 4 clinic days, 202 Dogs/Cats passed through our doors, each receiving the best Snipsister Care and Attention. Special Surgeries/Treatments: One eye removal (Dog), See the photo above. This is Lucero, A stoic male dog owned by a local family in the area. Lucera came to our clinic with a badly infected eye, the only solution was to remove it to ease the pain. Lucero has never looked back (sort of speak!) He is doing very well and is recovering nicely. Thank you to his Vet Team, Antonio and Jimena! Post Op care provided by Roberto, our kind hearted friend who allowed us to use the courtyard on his property as our clinic site. Roberto, together with a handful of caring locals are working diligently at getting an animal shelter built in La Crucecita. After meeting and working with Roberto, we have no doubt that this will come to fruition! Other Special Surgeries and Treatments: One Leg Amputation (Dog), One Leg Amputation (Cat) Two Female Dogs are undergoing Chemotherapy for TVT- a cancer that is highly treatable: 5 weeks of treatment till remission! SnipSisters once again had two very successful clinics in the towns of Barra La Cruz, Coyula and Cuatunalco in December 2013. We worked again with Vets Antonio and Poli, but this year we had the pleasure of meeting and working with Vet Technician Paulina for the first time. Paulina is a wonderful addition to the team. The three of them are officially called “Pets 4 Life” operating out of Puerto Vallarta. Each day we all work tirelessly side by side and a total of 202 dogs and cats were sterilized and were treated for internal and external parasites. As with all our clinics, there always seems to be a need for a special surgery or two- beyond the snipping. This year, Iggy was our special case. Roughly 2 yrs old, withering in a corner, one of our volunteers noticed him apart from the other 4 dogs and cat owned by a single family in the small community of Tueheca. Iggy was very weak and thin, a sweet gentle male with a machete gash across his head that was so deep it went through his skull bone. Without hesitation we loaded up Iggy and the other 4 dogs plus the cat and headed for the clinic in Coyula. There, Poli meticulously began carefully cleaning and stitching layer and layer of tissue together. Once fully recovered from his sterilization and head surgery, armed with antibiotics and a care package of food, collars and leashes for all dogs, Iggy returned home and made a full recovery. Machete wounds such as this are common and are inflicted usually by owners of female dogs. 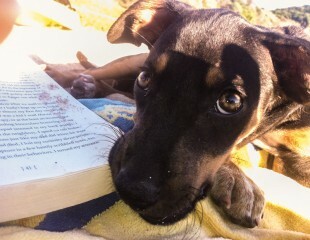 This is the harsh way some people try to prevent males like Iggy from pursuing a female dog when she is in heat. Again, all the more reason these sterilization clinics are so necessary -once males are sterilized this behavior stops.